Why Are Mileage Claims Such a Bore? We get it, we speak to lots of our clients, so we know that mileage claims are such a bore! It’s difficult to keep up to date, and no fun at all, but we have a solution! Do you leave your Mileage Claims to the end of the year? You’re not the only one. But how much time does that take? Longer than it needs to, that’s for sure. You’ve got to go back to your diary or online calendar, then probably go to Google Maps or something similar to work out the number of miles. Oh and before that you’ve got to dig out the correct address. What if I told you you’d look forward to recording your mileage on every journey? 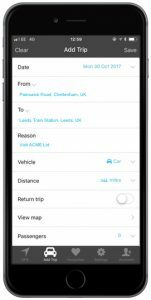 With the Tripcatcher app you can use their GPS tracking feature to record your actual journey, live! You can go back and record a journey you’ve finished, with only a few fields to complete, and you can even save favourite or repeating journeys. So quick and easy! Because you’ll now be recording all your journeys, and Tripcatcher also records the VAT on each journey, you’ll get more cash back from your business, and more VAT back from HMRC! Tripcatcher pushes your mileage claims to Xero whenever you’re ready, and whatever dates you choose. You can even record passengers, bicycle and motorcycle mileage – it’s all claimable! Get in touch right now to see how easy it is to use, and to get set up. Thank you for reading! Please do get in touch if you’d like to know more about our online apps. 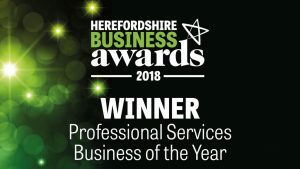 Kinder Pocock are an approachable cloud-savvy firm of accountants based in Herefordshire but supporting businesses on the move. We specialise in Security, Design and Indie Hospitality businesses.